The price tag for this year’s U.S. Senate race has topped $177 million and is likley to go much higher as Floridians head toward Tuesday’s election. At this rate the U.S. Senate seat is almost certain to soar well over $200 million by the time all the bills are reported. The candidates and outside political committees are only increasing their spending heading into the last few days, and candidates’ official campaign spending reports are complete only through a couple weeks ago. Republican Gov. Rick Scott‘s campaign has spent $66.5 million, $51 million of it from Scott’s personal fortune, seeking to win Florida’s U.S. Senate seat. That’s only through Oct. 17, the latest date for which candidates’ campaigns have reported their expenditures. Democratic U.S. Sen. Bill Nelson‘s campaign has spent $24.5 million through Oct. 17. Outside groups, led by the New Republican Political Action Committee that Scott established to back his campaign with outside money, and the Democrats’ Senate Majority PAC, backing Nelson, have combined to spend more than $86.1 million on Florida’s U.S. Senate contest. Those reports are nearly current, into at least early filings on Friday. 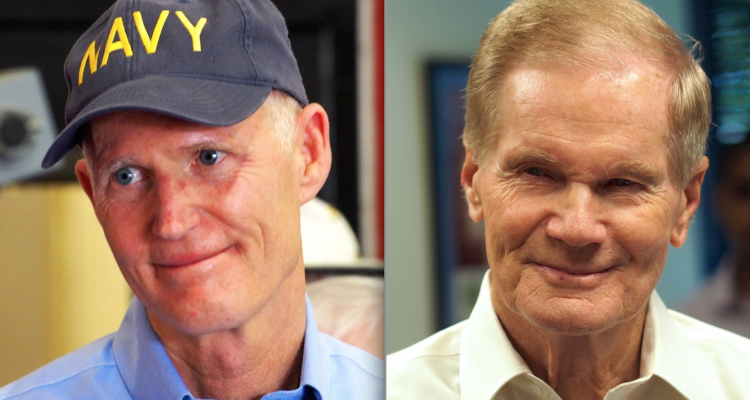 The independent expenditure money is responsible for most of the negative advertising that has been blitzing Florida television screens this fall, attacking Nelson or Scott; though Nelson’s official campaign has turned out a couple of particularly-harsh attack ads against Scott in the past couple of weeks. The outside money in Florida is now the most seen pouring into any U.S. Senate race in the country, according to the Federal Election Commission. For much of this fall more money was going into the U.S. Senate race in Missouri and roughly the same amount as Florida was pouring into U.S. Senate races in several other states, notably Arizona and Indiana. No more. The $86 million level that Florida’s outside money flood has reached is well above the levels in Missouri, $76 million; Indiana, $69 million; and Arizona, $66 million. The outside spending last week destroyed the record set in Florida in 2016 when national groups spent $54 million on the election in which Republican U.S. Sen. Marco Rubio won his second term. No one is slowing down much. New Republican PAC has dumped $11 million just this week into its campaign to attack Nelson and support Scott. The PAC, which Scott set up and then set free to be independent, now has spent $29.5 million on the race this year. 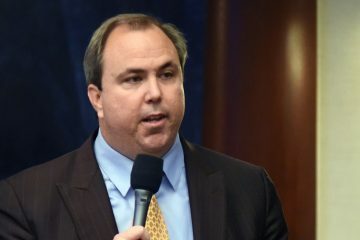 The leading Democratic groups aiding Nelson are the Senate Majority PAC, which spent about $2 million in the past week in Florida, but now has spent $21.7 million overall; Priorities USA, which spent about $1 million in Florida last week and now has spent $10.7 million in the Sunshine State; and four groups that spent very little last week but have spent quite a bit to date: Majority Forward, which has spent $4.5 million this year supporting Nelson; VoteVets, $3.9 million; For Our Future, $2.1 million; and the LCV Victory FUnd, $2 million. Forty-two national Democratic groups have combined to spend $54.1 million supporting Nelson’s re-election. 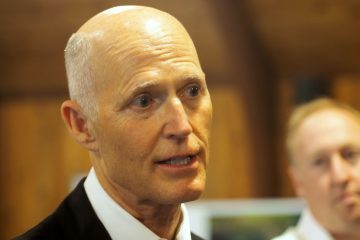 Seventeen national Republican gropus have combined to spend $32 million to support Scott’s challenge of Nelson.